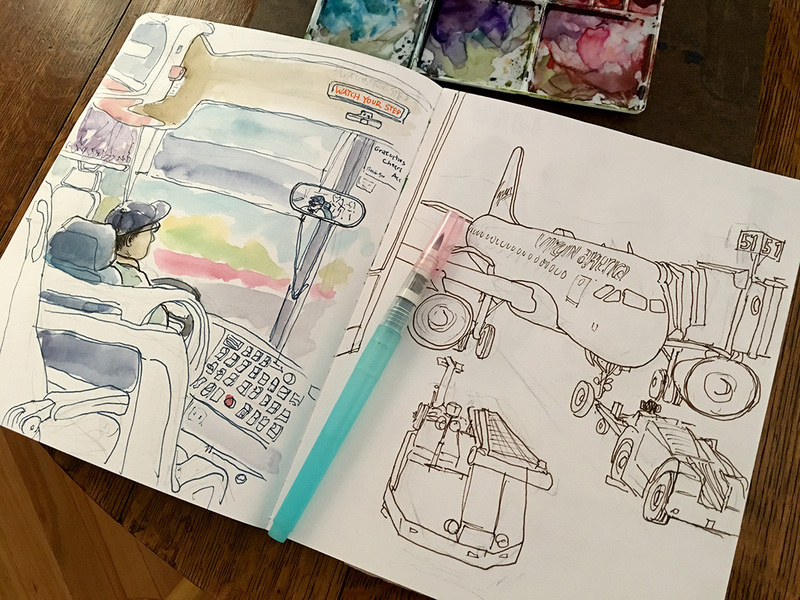 Traveling to the Urban Sketchers Symposium in Chicago. Two sketches done while traveling to the Urban Sketchers Symposium last week. Left one on the very bumpy bus ride to the airport and the other one waiting to board the plane at SFO. August 8, 2017 Richard SheppardComments are off for this post.